Almost everyone today carries a camera wherever they go for capturing the moment and sharing it with others. 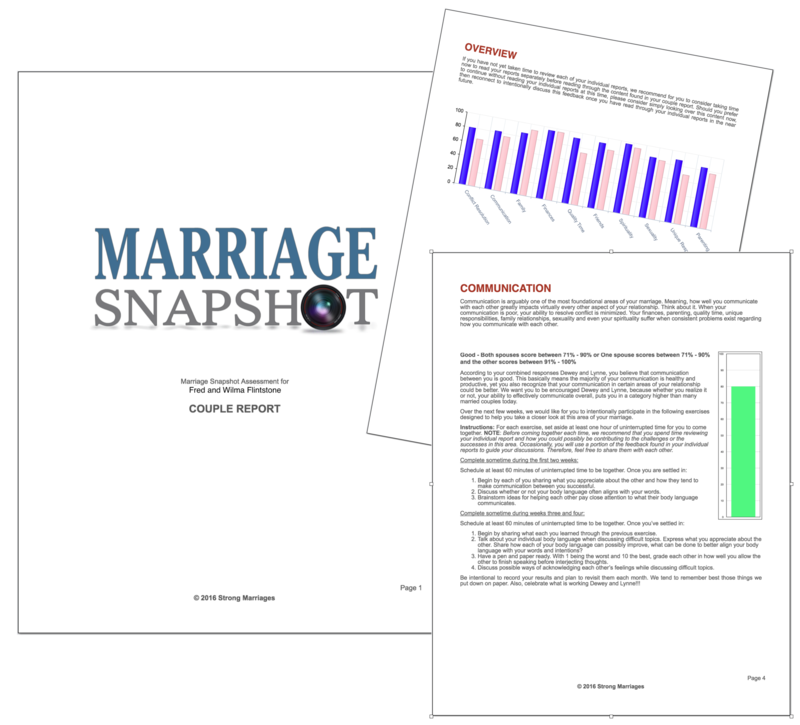 So, what if you were able to take a snapshot of your marriage, giving you an immediate look at 10 different areas of your marriage? That's why we designed Marriage Snapshot for couples. 1. Click on the REGISTER button below to create an account. 2. Enter your user specific code. 3. Begin the Marriage Snapshot survey. 4. Connect with your spouse by sending them a personal "invite". 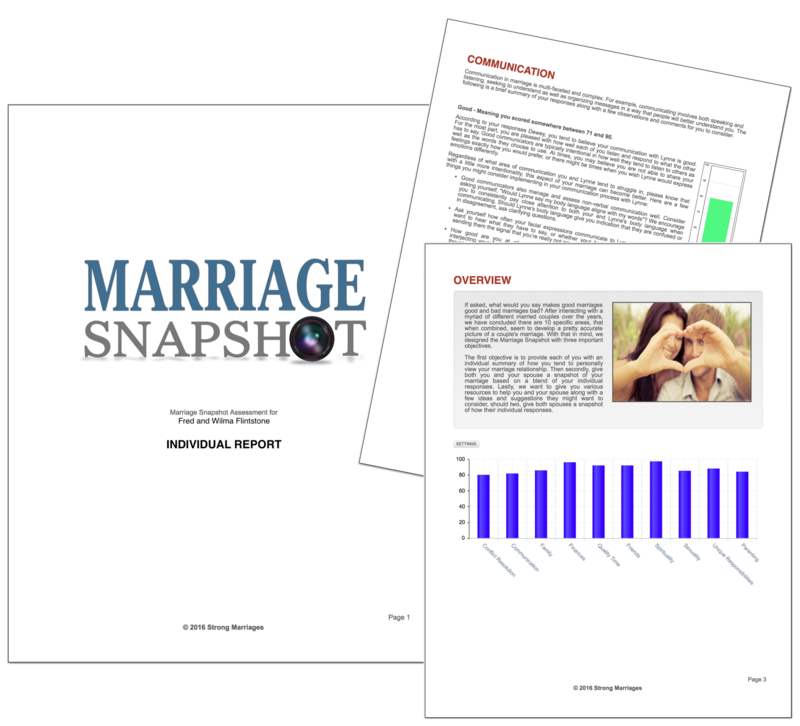 Detailed Individual Report for each spouse. Detailed Couple Report with Exercises. 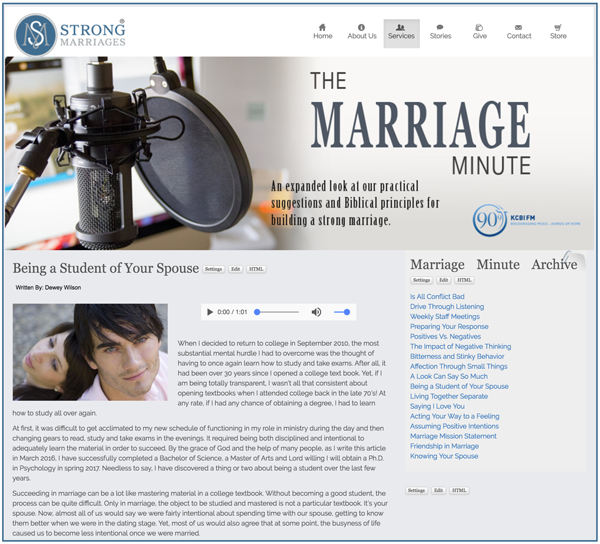 Ongoing Support from Strong Marriages.